bliggity-'bloggity-bloo: back in new england! I love this drawing! I see 2 sigs on the drawing..... yours and the inker...? I'm seriously diggin' the Perhapanauts, BTW. I'll definitely pick up the trade and keep my fingers crossed for DH to give the thumbs up for another mini. Ah.... Wayne Faucher is the inker. I just had a look at my copy of Ronin Hood and see his name on it! I loved that book, too! But, this new drawing has way more linework to it. Very nice. Quite a different look to it when compared to the Ronin Hood book. Are the pages of the Cobbler's Monster this detailed, too? 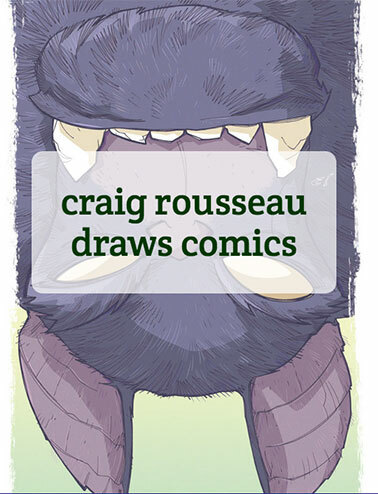 That pict looks great Craig! I love your "clean" style, but it's cool to see scratches and more shadows in there!